Here I am, just adding some holiday cheer to your month! What would you do with an extra $125? Here's your chance to find out!! 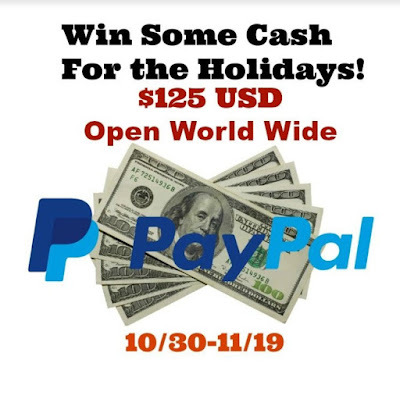 One lucky winner will have the chance to win some money for the Holidays. Enter for your chance at a fun and easy giveaway just for showing love on our pages! So head below and enter to win! 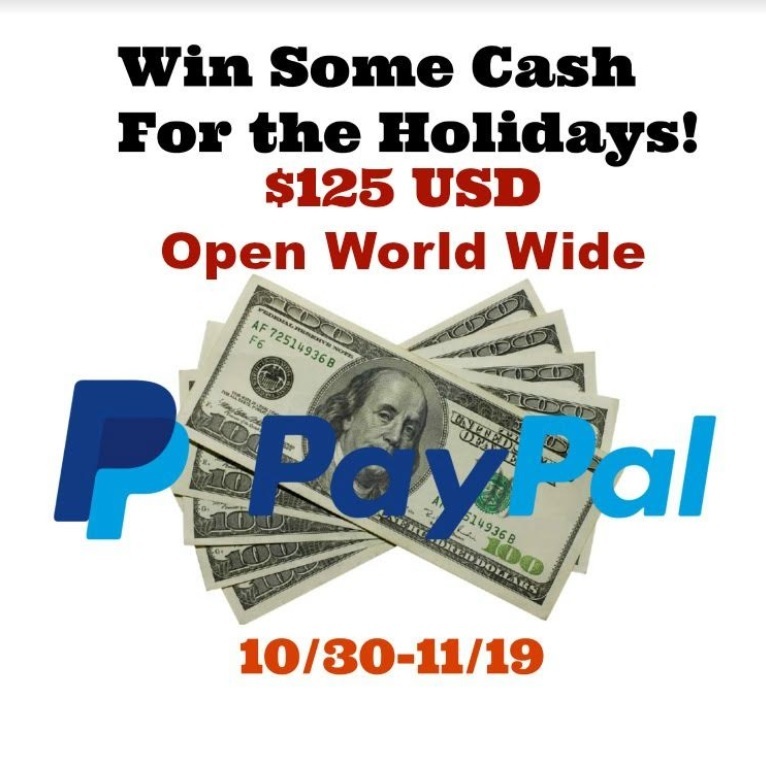 Giveaway is open WORLDWIDE and must have a paypal account to accept prize. Giveaway ends on 11/19 at 11:59pm EST. Must be 18+ to enter. Good luck!